Hairstyles for men has no longer sober to the typical army cut ,men too have come a long way in trending their haircuts. Its not shocking to see a men now having haircuts to the shoulder length & they are having buns of different types . The buns are kept loose or tightened up according to the persons choice however men having short hairs normally keep it tight & with long hairstyles they can loosen up their hairs .It looks truly classy to keep the facial hairs with these buns . 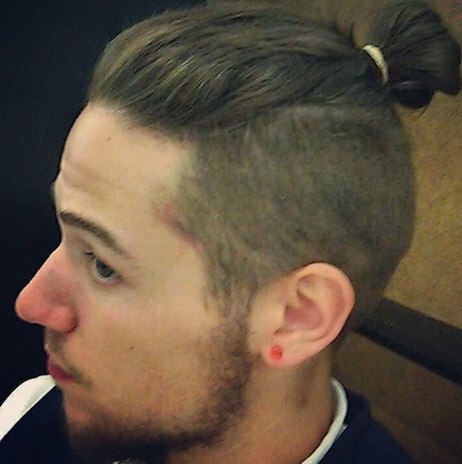 Men having bun hairstyles always stands out in crowd & so its very foremost to have a positive attitude to carry the hairstyle .You will be tempted to grow your hairs after looking at the below pictures of the bun hairstyles .